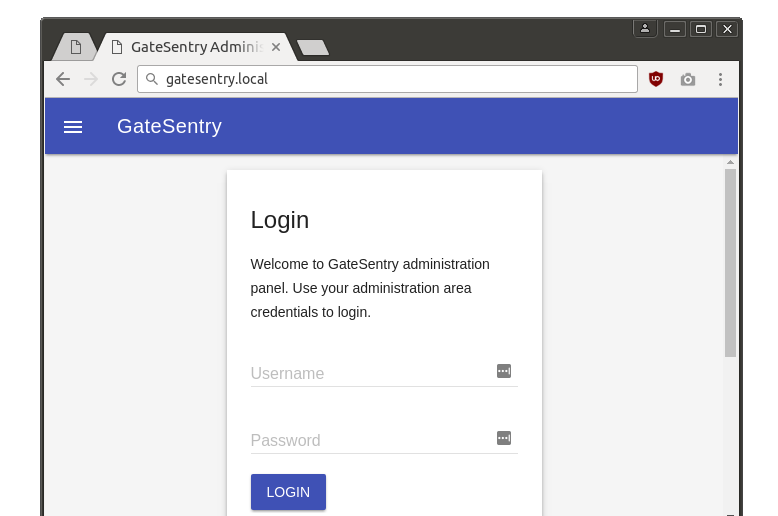 GateSentry is a cross-platform proxy server with content filtering capabilities, user authentication system and data consumption statistics. It's built with Golang and free to use. GateSentry comes with its own web based interface which is powered by React and can be easily viewed via any modern desktop/mobile browser. GateSentry does support Https content filtering by doing a MITM attack on your secure traffic. If you don't need this feature it can be disabled via GateSentry's administration panel. GateSentry comes with a built in user authentication system where you can add more users/delete users, disable their internet access. If not required on your network you can disable the user authentication system too. Time based Internet access allows you to set times during which internet access would be disabled on your network. Content type blocking allows you to block specific file types on your network. Want to disable images? simply add the mime "image/png" and "image/jpeg" to GateSentry. If the user based authentication system is enabled GateSentry shows the amount of data consumed by each user on your network. Access for network users can be easily enabled or disabled with a single click from the User Management Panel. IMPORTANT:This is a very early release of GateSentry, so it might have a few bugs here and there. If you end up finding them please do report them in the comments section below. When was GateSentry Last Updated? Have a question? Spotted a bug? or have suggestions? Please report below. Email notifications whenever a page is blocked. Provide a web based API to GateSentry for addons.